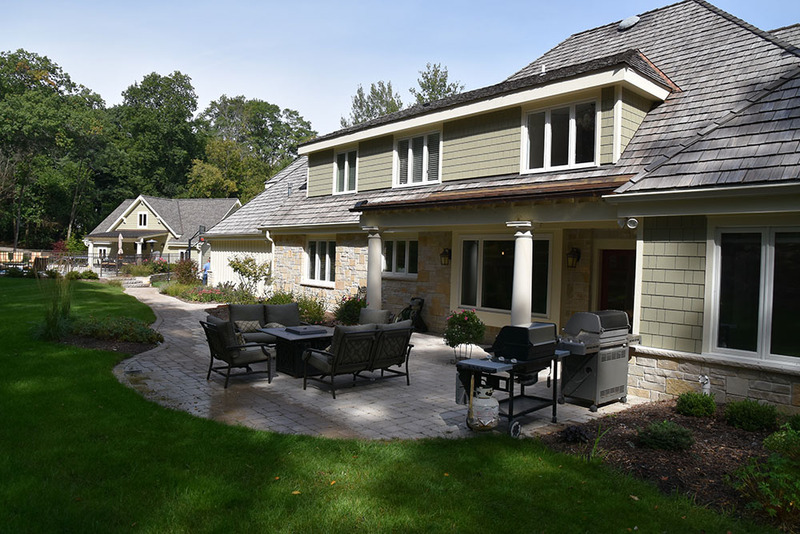 Renovating this existing exterior from an English Tudor into a Lakefront shingle-style house involved applying the appropriate materials and elements. 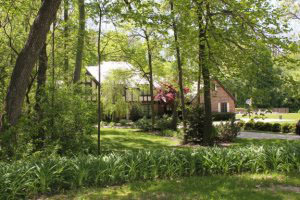 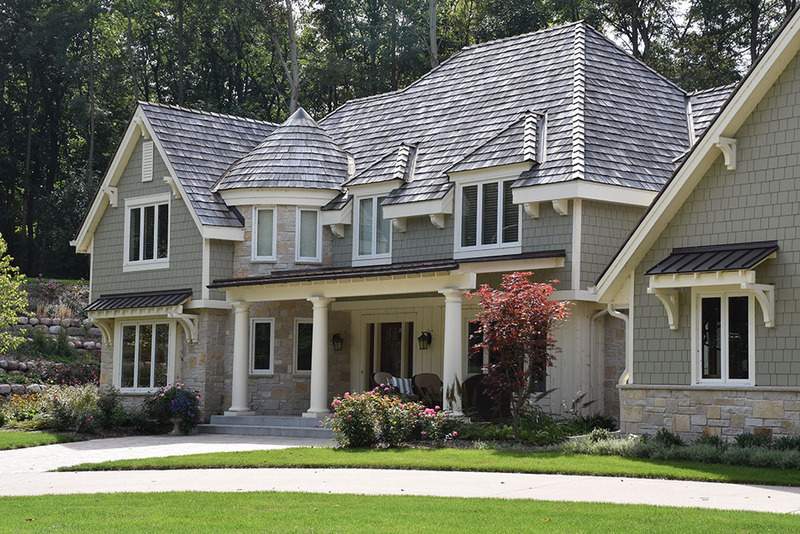 The use of shingle and stone along with covered porches and overhangs all add to the charm of this lake home. 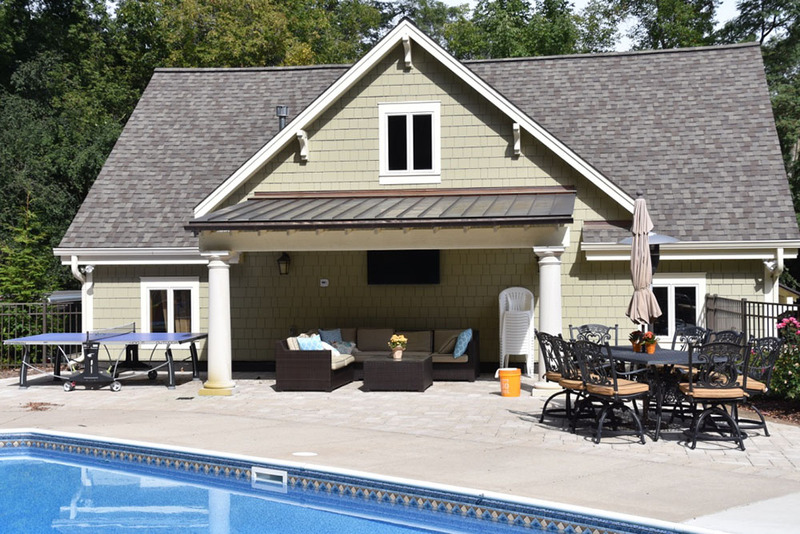 The client also wanted a new detached garage that was utilized for boat storage and provided a covered area when sitting at the pool.